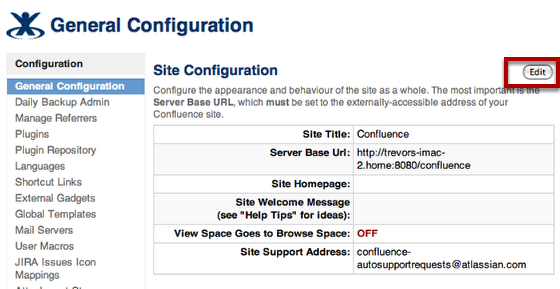 In order to use ScreenSteps with Confluence you need to enable the Remote API feature in the Confluence settings. This lesson will show you how. 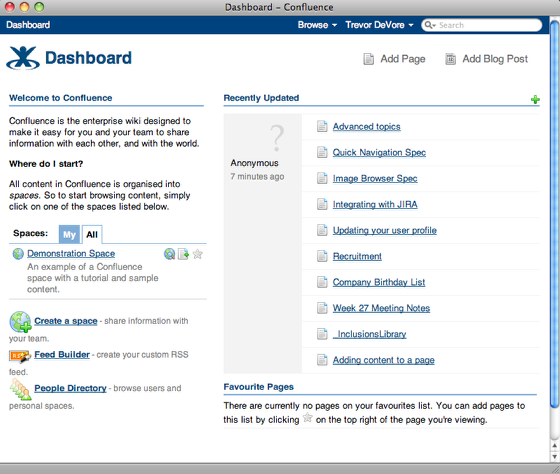 You can open the administration screen by clicking on Browse > Confluence Admin. 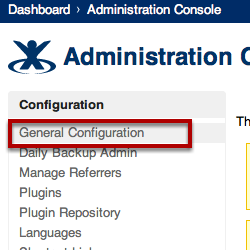 Click on General Configuration in the Configuration menu. Click on the Edit button next to Site Configuration. In the Feature Settings section of the Site Configuration screen you will find the on/off switch for the Remote API. If Remote API is turned on then click on the On radio button. Click on the Save button at the bottom of the screen after making any changes. I keep getting "invalid response (error 503 service temporarily unavailable)" when ever i try to export? @Jesper: That error can occur if you have not enabled the remote API. Are you sure you turned the setting ON and clicked the Save button to save the settings? 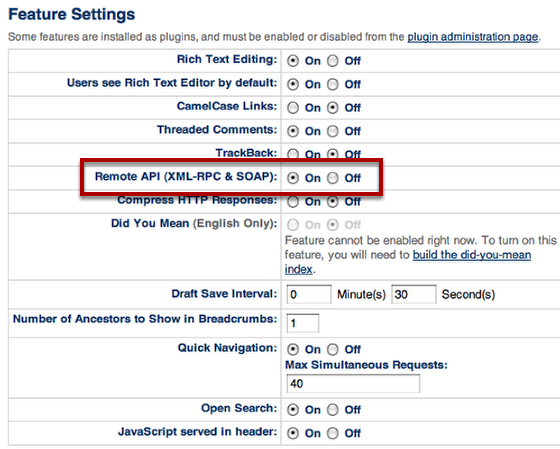 We have Confluence OnDemand, the "Remote API (XML-RPC & SOAP)" is enabled but I'm getting. "Error: server error (java.lang.Exception: RPC Handle object "confluence1" not found and no default handler registered)." when I test the connection from ScreenSteps Desktop. It's not clear if it should work with OnDemand - but most other add-ons do and this would be great for smaller dev teams (like us) who dont host it ourselves. @Hamish - I think it should work. If you email support@bluemangolearning.com with the settings are using we can troubleshoot.